Floor One Flooring has countless years of experience in hardwood flooring repairs, refinishing, and restoration services in the Minneapolis and St Paul area. We specialize in a wide variety of solutions for aged and damaged hardwood floors as well as for average wear and tear. 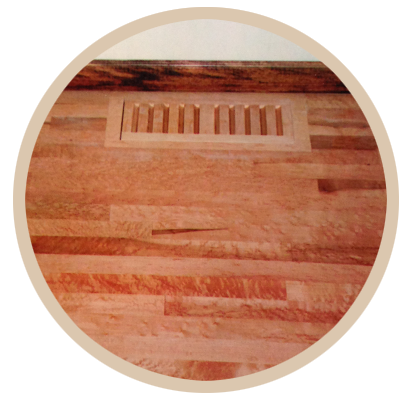 We color match any stain or match any wood to perfectly integrate repairs into your existing hardwood flooring. Our team of custom flooring experts are also skilled in re-sanding your scratched, dinged up, and dented floor and restoring it to its original beauty. In addition, we have adopted a dust containment system used on the job to keep the impact on your environment to a minimum. Floor One also has experience repairing water damage and performing trim and molding work to complete the repair process. For minor damage or maintenance between sanding, Floor One Flooring can be contacted for sand-less refinishing or for buffing and re-coating to give your floors a brand new protective coating, making it look like new again.